Wedding Ceremony "Yak zlilisya dzve rechanki…"
Wedding for centuries has been considered as the most festive event among all family ceremonies. Brightness of images, sublimity of the moment of new couple birth contributed to the conservation of this ritual till nowadays and the formation of a special mysterious status. However, the symbolic meaning of the most of activities, aimed to facilitate the welfare and happy fate of a newly created family, is nowadays unreasonably forgotten. 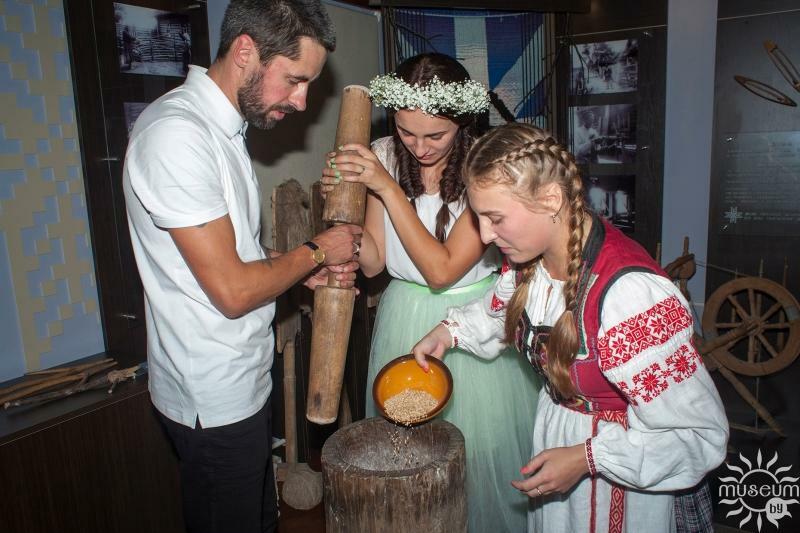 For adding the wisdom of our ancestors to the melody of your holiday, Museum of Traditional Manual Weaving of Poozerye worked out a wedding ceremony “Yak zlilisya dzve rechanki…”. Since 2007 it has become a tradition to conduct this ceremony. 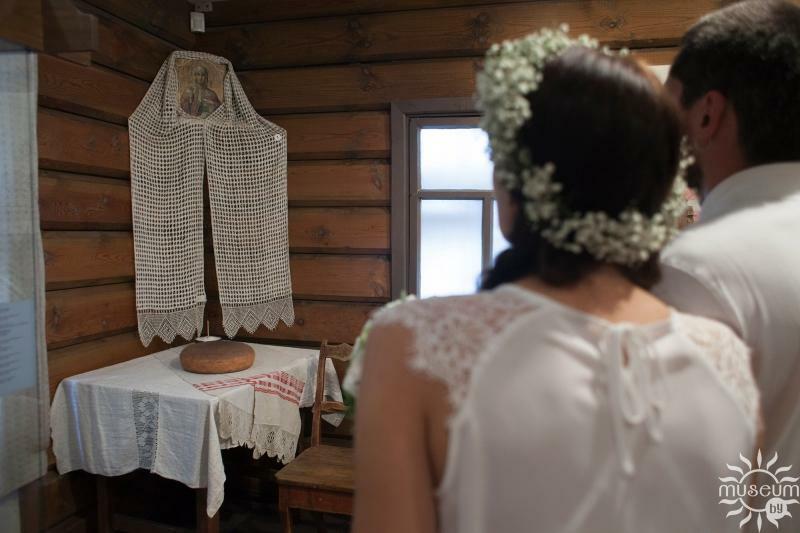 With the aim to restore some elements of traditional wedding Museum staff researched a wide range of folklore, ethnographic sources, expedition collections and scientific research results, related to Belarusian wedding ceremony. 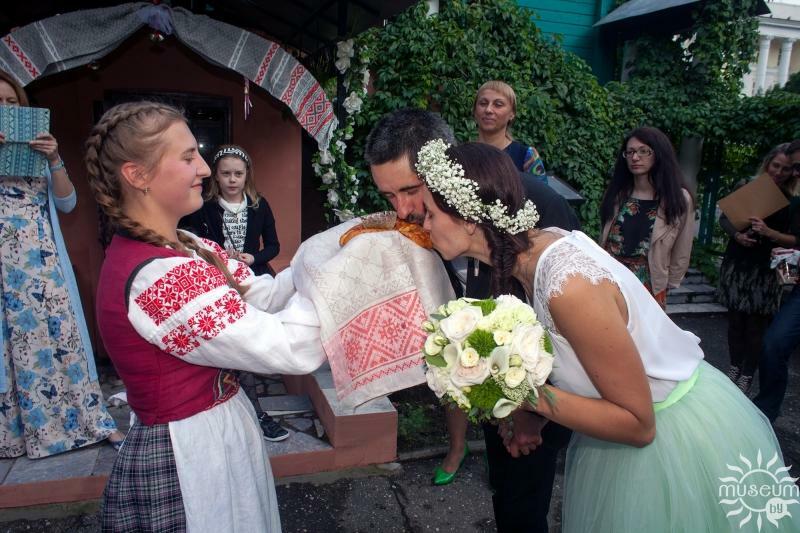 Belarusian traditional wedding is a ritual and magic complex that is embodied in a gorgeous colourful action. The whole ceremony is contingently divided into 4 cycles: preparation (engagement, subornaya subota, karavay), wedding (in the church), wedding feast at the newlywed wife’s, wedding feast at the newlywed husband’s. According to the folk’s notions, for the recognition of the union an approval of the collectivity was essential, that was organized through corresponding ritual actions, songs, household words, that followed each of the mentioned steps of the wedding. Only after that a wedding couple could officially become a union of full value. The ceremony “Yak zlilisya dzve rechanki…” is not a detailed reconstruction of a wedding tradition, it combines significant elements of the wedding ceremony taking into account modern wedding ceremonies. 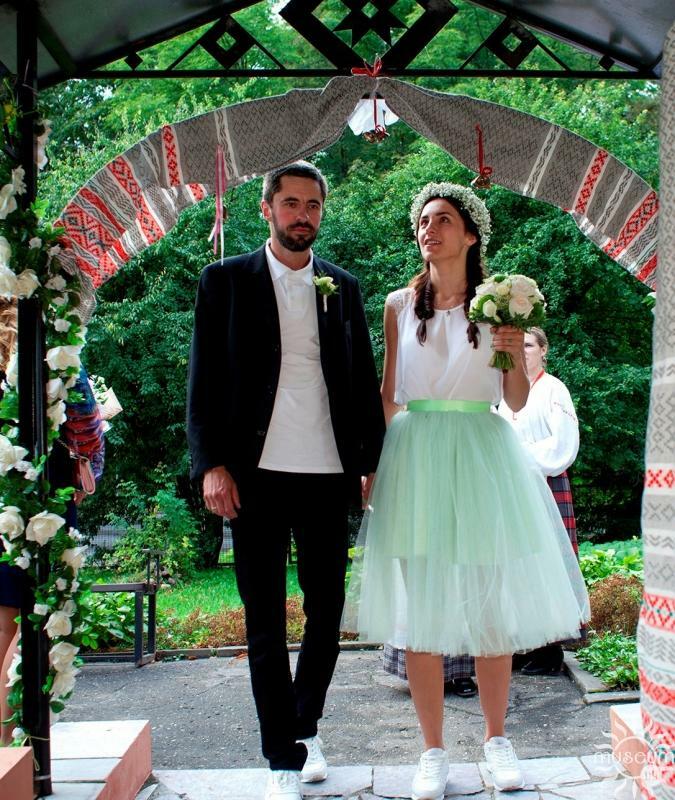 Thanks to the song traditions of Dvina region, a wide range of folk’s customs and unique color of Poozerye, your wedding will become unforgettable for long times.